Near the end of their collaboration, and still smarting from their famous carpet quarrel, W. S. Gilbert and Sir Arthur Sullivan have neither seen nor spoken to each other in months. Now they must supervise a rehearsal for a revue of their comic operas, a command performance for Queen Victoria. The underprepared show is set to open in about eight hours. 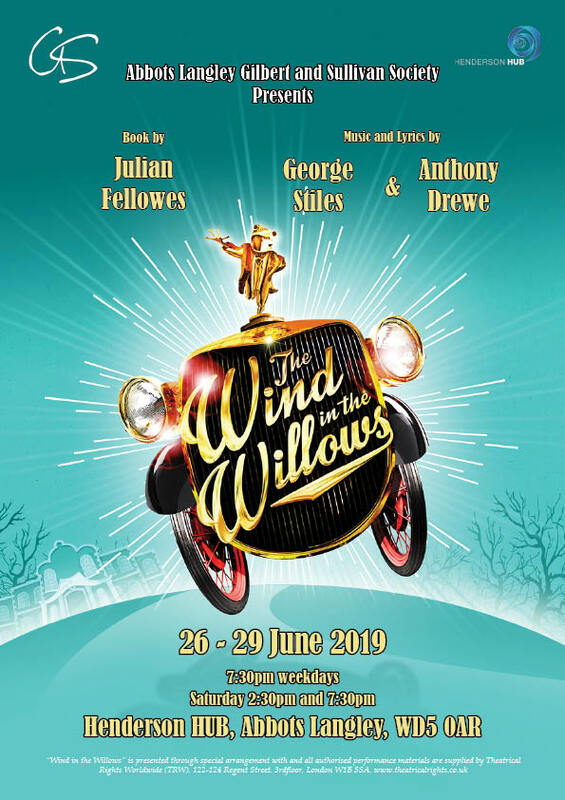 Sullivan has been ill and has missed most of the rehearsals; and he’s in love with pretty Violet Russell, a young soprano of whom Gilbert disapproves. To make matters worse, Sullivan has invited Alfred, the Duke of Edinburgh (and son of the Queen), to join the cast. The eager duke can’t sing, dance or remember his cues. When Gilbert finds out, he’s furious. With a company of temperamental actors to manage, and their producer, Richard D’Oyly Carte, breathing down their necks, there is plenty for the two men to fight about. But their admiration for each other as collaborators and friends wins the day. 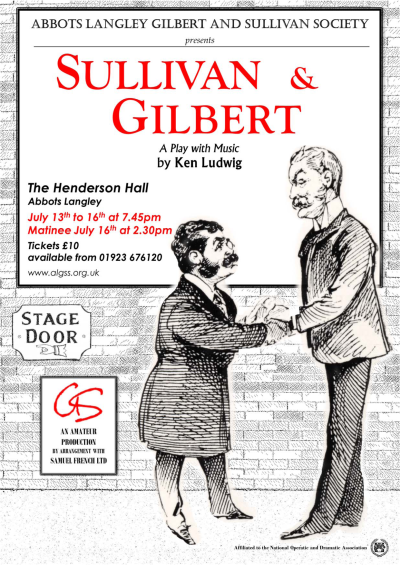 Sullivan and Gilbert features over 15 Gilbert and Sullivan songs. It examines an eventful day in the life of the famous Victorian era composer and dramatist, and takes place behind the scenes at the Savoy Theatre in London. Sullivan and Gilbert premiered in 1983 at National Arts Centre of Canada, where it won the Ottawa Critics’ Circle award for Best Play of the Year. Author Ken Ludwig is an internationally acclaimed playwright whose many hits on Broadway, in London’s West End and throughout the world have made his name synonymous with modern comedy. He has won the Laurence Olivier Award, England’s highest theatre honour, as well as three Tony Award nominations and two Helen Hayes Awards. His work has been commissioned by the Royal Shakespeare Company and has been performed in at least thirty countries in over twenty languages. His musical Crazy For You ran for over four years on Broadway and in London. Lend Me A Tenor, originally produced by Andrew Lloyd Webber and recently revived on Broadway, was called “one of the two great farces by a living writer” by The New York Times. He studied music at Harvard with Leonard Bernstein and theatre history at Cambridge University in England. You may download the production programme here. Production photographs are available here. More production photographs are available here. The article ‘A Savoy Rehearsal’ can be read here.